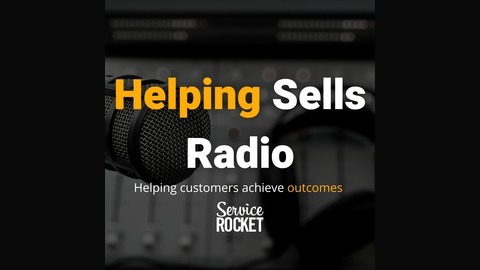 Earning the Customer Mindset and Customer Centric Strategy with HubShots, a podcast from down under! On the podcast, we didn't just want to talk about features and software. We really wanted to get into the how of customer service, and the why of customer-driven strategy. We did spend a few minutes on customer service software, but quickly got into a really cool chat about what a customer centric mindset looks like, and how it's a necessary foundation for a customer-driven company. Podcasts are funny things. You spend a few minutes getting to know the host (or guest), then try your best to have a transcendently brilliant discussion...for an hour. That's hard! In the beginning, customers bought shrink-wrapped software from salespeople at software vendors. In the beginning, vendors made their money on service contracts. Vendors knew that contract signature essentially guaranteed predictable revenue and good economics. Then, Salesforce came along. B2B SaaS was born. The world changed. Now, customers buy access to SaaS platforms, not shrink-wrapeped software. Now, vendors have much more sophisticated economics, with higher upside for winners. Now, vendors are not selling those nice service contracts any more, but are still looking for predictable revenue -- and often hunting for silver bullet to guarantee their economics. The hunt for better SaaS economics takes us through usage data, customer success, and more. And it was just one topic we talked about on Helping Sells Radio the other day. We all want to make our customers happy. To do that repeatably, and at scale, isn't easy. You need to design your people, process, and technology that creates exceptional outcomes over and over again. It needs to adapt to a changing set of technologies, market forces, and competition. It starts with a mindset of customer-centric design: walking in your customer’s shoes, understanding where they’re at and working backward from there. Adopting that perspective as a core tenant is key to helping your customers reach see success and growing a better business.